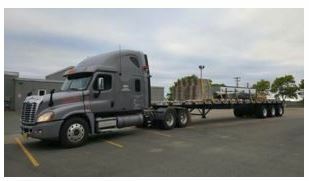 The trucking industry is a stable and growing sector that is looking for qualified Class 1 Operators. Receive the certifications you’ll need to work right here, in Nova Scotia or ‘turn-arounds’ in western Canada. 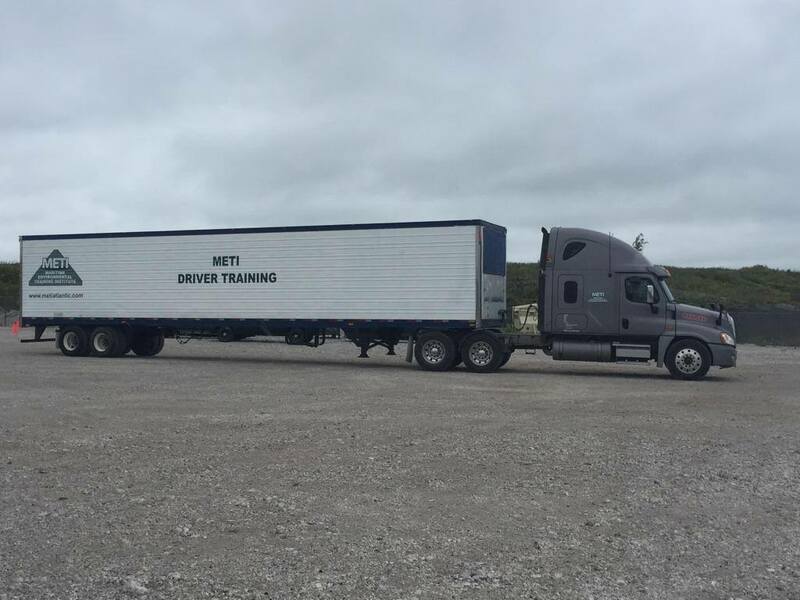 METI’s Class 1 Driver – Tractor Trailer Program prepares you to become a professional driver by exceeding the standard for Tractor Trailer Training criteria set by the Trucking Human Resource Sector Council (THRSC) and industry. This 15 week program consists of 11 weeks at METI with over 50 hours of Behind the Wheel time and 4 weeks of Internship. 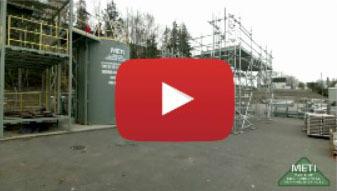 Many employees are required to have additional safety certifications which are included in the program, eliminating the need and cost of additional training. 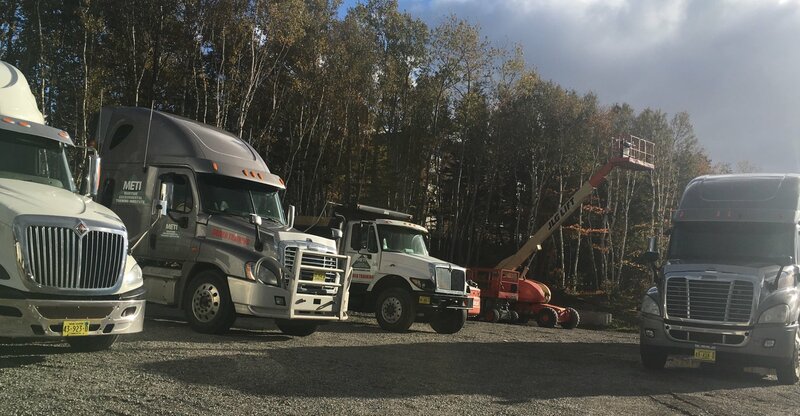 Your training certifications will be from METI, Oil Sands Safety Association (OSSA), Energy Safety Canada, Alberta Construction Safety Association (ACSA), Nova Scotia Dept. of Transportation, Canada Safety Council, Canadian Centre for Occupational Health and Safety (CCOHS), and St. John Ambulance, giving you a competitive edge for employment. METI trains with over 500 business and trade professionals. Our course was developed with input from industry professionals who continue to work with us, ensuring that you have the most hire-able skills in the industry. Our support continues long after you have completed your training. 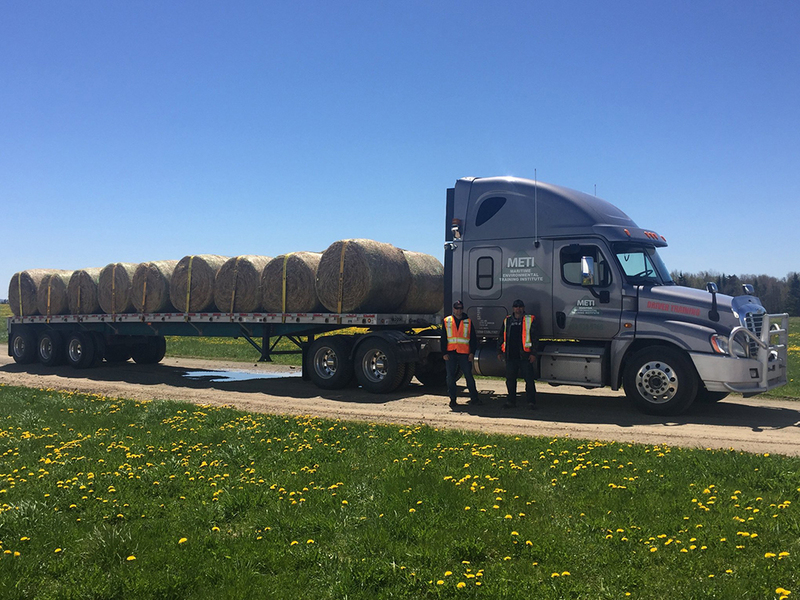 We strive to provide Class 1 Driver Training – Tractor Trailer Program graduates with information on career opportunities and career advancement. 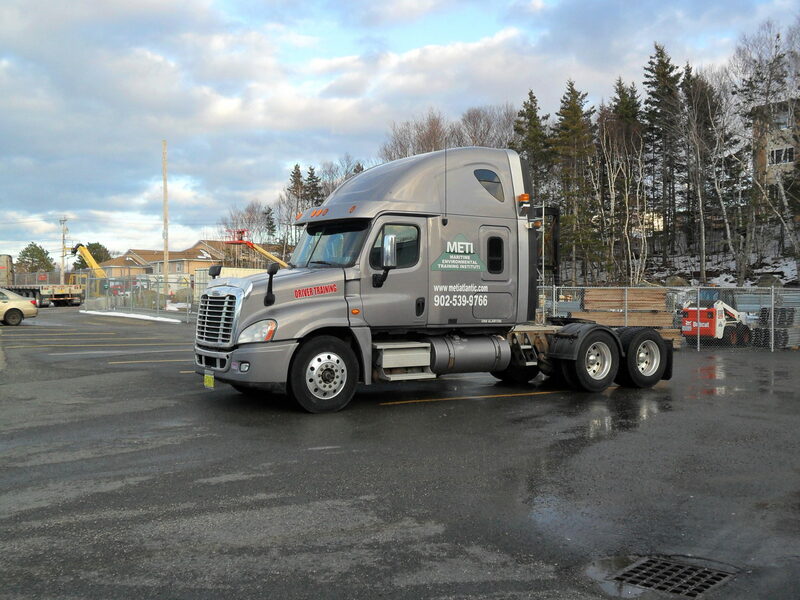 Train on our late model Freightliner “Cascadias”, part of our fleet of modern, industry standard highway tractors. 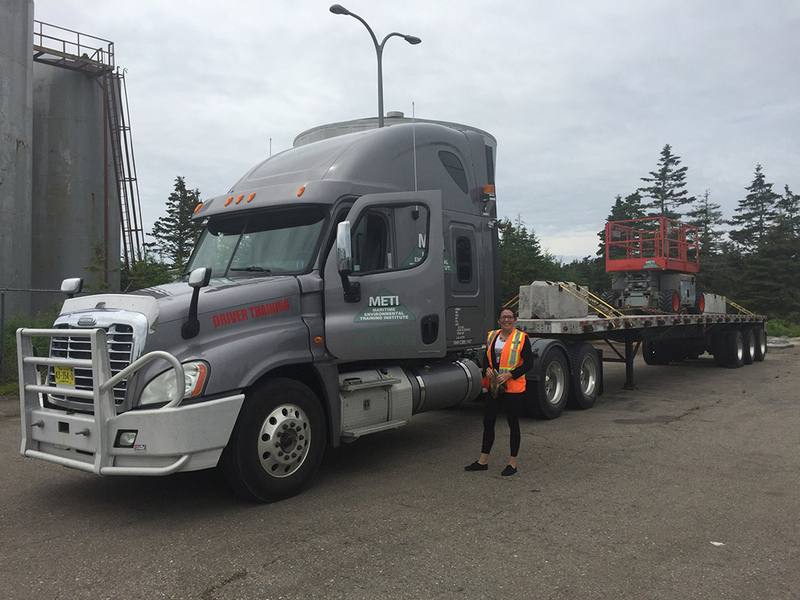 During the 4 week internship, the student will receive a minimum of 100 HRS behind the wheel (BTW) time, complying with the Atlantic Canada Trucking Industry Class 1 Professional Truck Driver Training Public and Private Training Institute Standards. 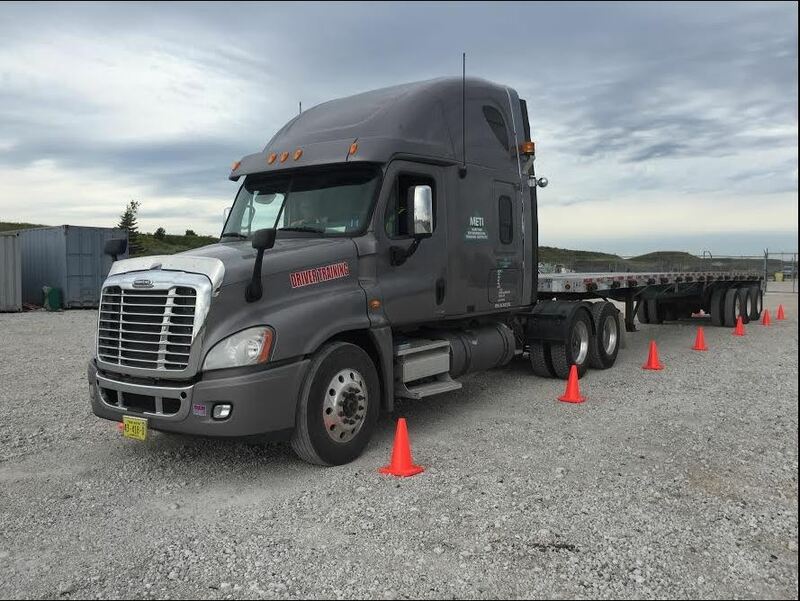 Class 1 Driver Training – Tractor Trailer Program features our late model Freightliner “Cascadias”(as shown), which are modern, industry standard highway tractors. 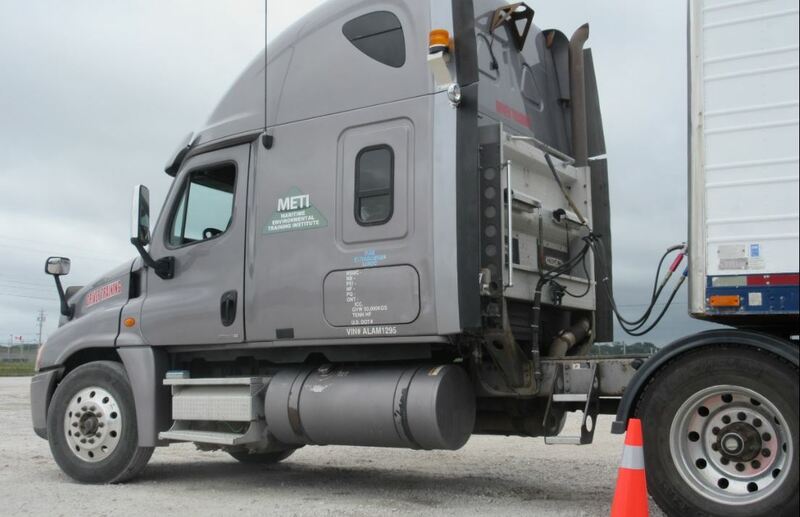 Students use this air brake equipped vehicle which has an 18-speed transmission and a 500 hp diesel fueled engine. 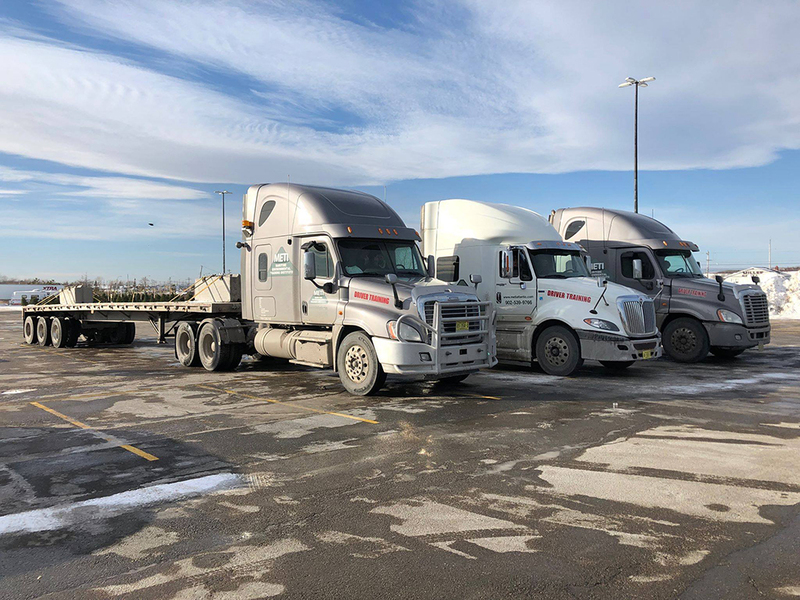 Students will learn the basic operations of the vehicle and its legal requirements for “Hours of Service Regulation”, pre-trip requirements, maintenance and safe highway operation. 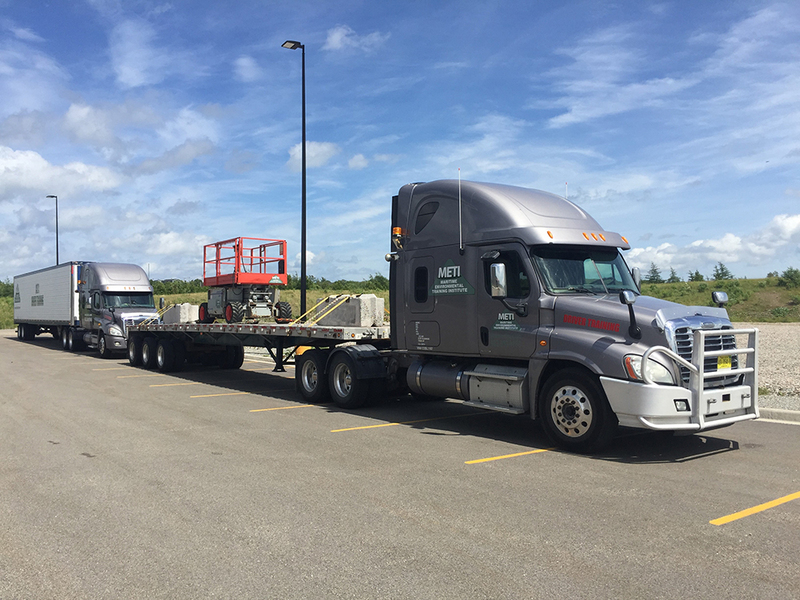 Along with the above tractor, our training also uses a 48 Foot, Wilson Tri-Axle flat deck trailer. 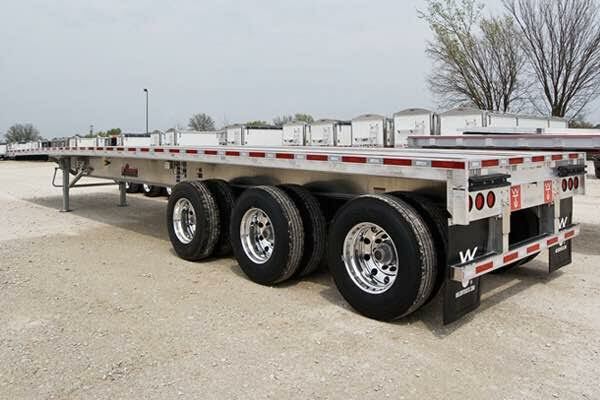 This trailer allows for quick and easy loading of goods. 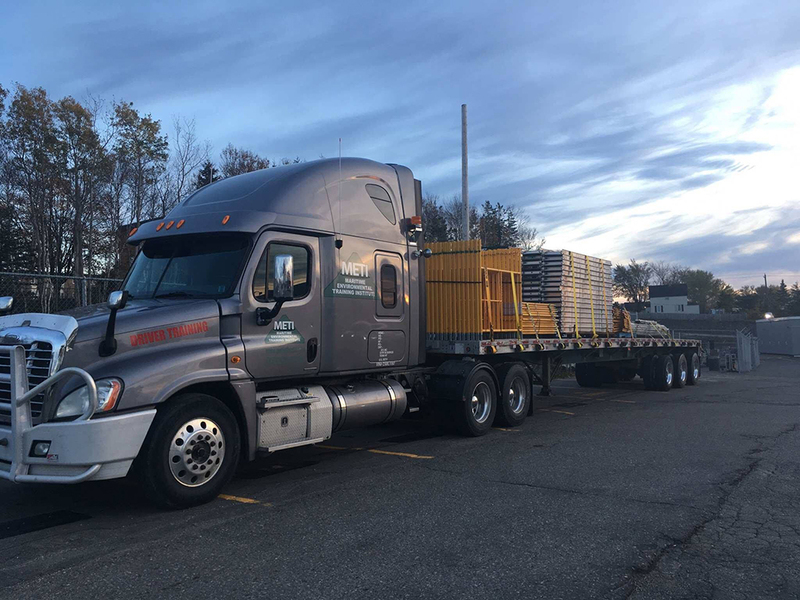 It is used to transport heavy loads that are not delicate or vulnerable to precipitation such as construction equipment and also for abnormal loads that require more space than is available for a closed body trailer. METI also has a 53 foot Van Trailer. It is the industry standard for carrying common, commercial goods and commodities. 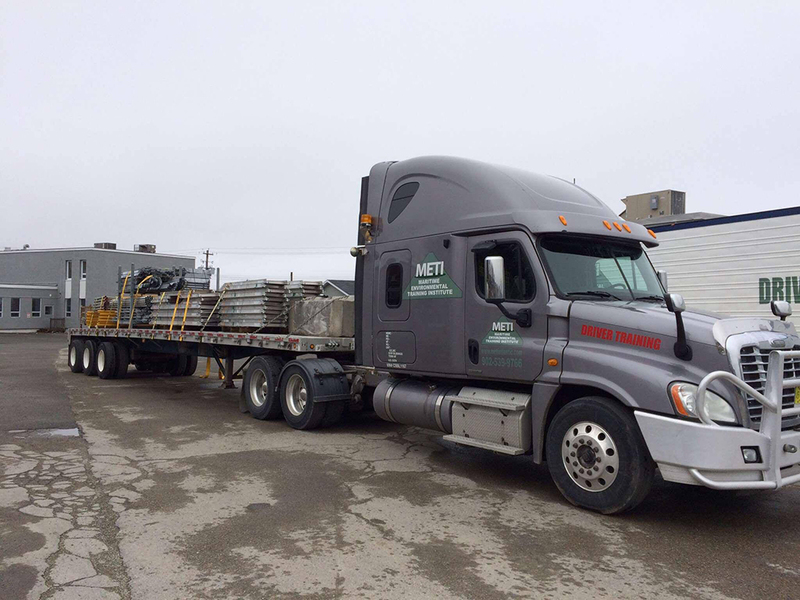 One of our Class 1 Driver training vehicles is seen here delivering METI Scaffold equipment, on its way to ashutdown at NS Power. Come in to our Sydney Campus at 301 Alexandra Street, call us 902-539-9766 or email training@metiatlantic.com. I passed my class 1 and had a blast while doing it, great instructors and amazing people. especially the one of a kind Rob Noseworthy, never a dull moment with him around. M.E.T.I is a great school, highly recommend it to anyone! 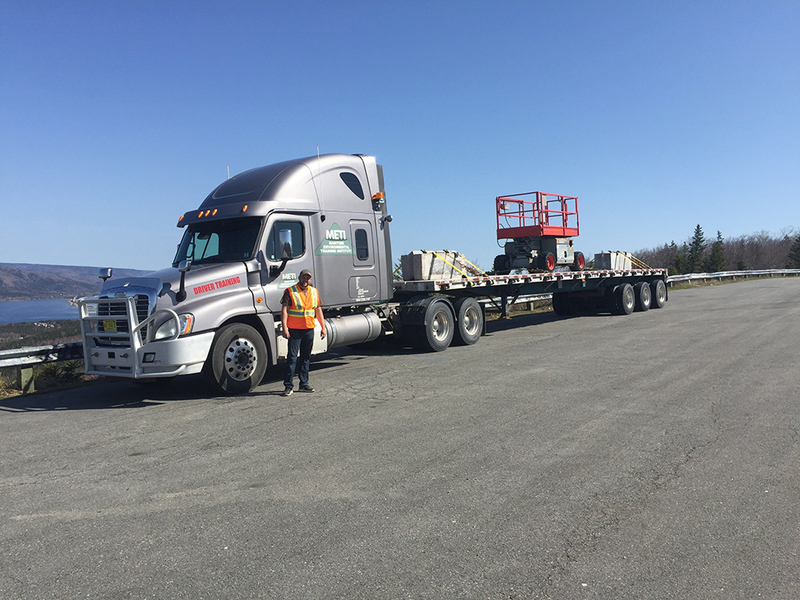 I completed the Class 1 tractor trailer course and immediately got a job driving and I have been working sense. 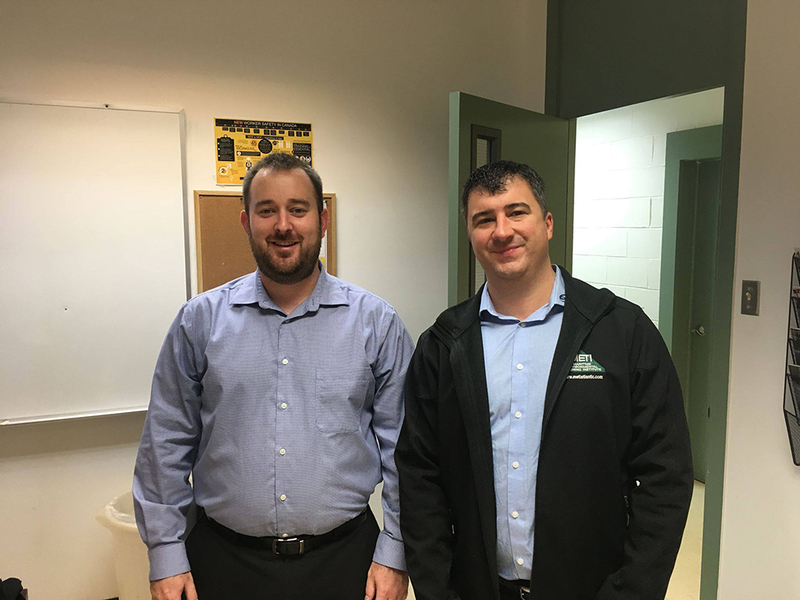 My instructor Rob Noseworthy was great, very helpful and taught me a lot of things I still do today in the work place. I graduated from the Class 1 training, in December (2017). I always highly recommended METI. Not only do you get tons of industry certifications to go along with the license. 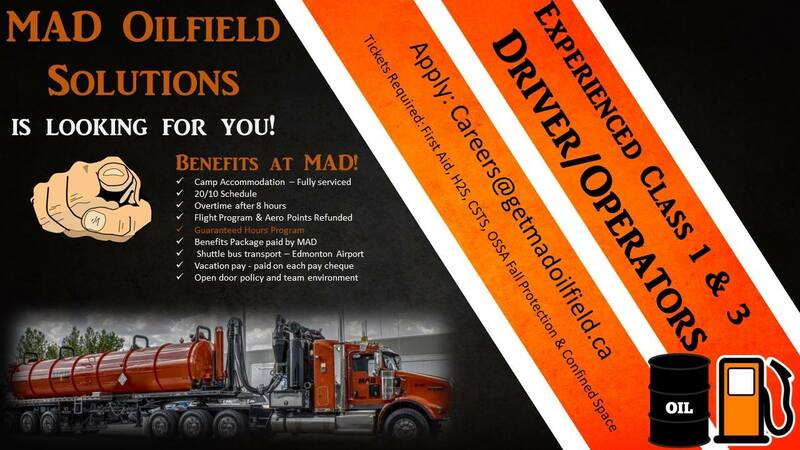 Now I am qualified to work in the Alberta Oil Patch, and I'm on my way this week to work a 4-month contract with "MAD Oilfield Solutions" in the brand-new Fort Hills, Suncor Site, with a distinct possibility of being offered a full-time job afterwards, as a Class 1 commercial driver. 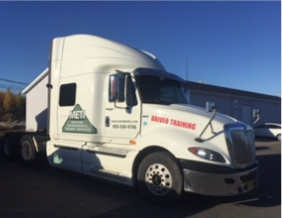 I would highly recommend METI’s class 1 tractor trailer program for anyone looking to pursue a professional driving career. I decided I wanted to get my class one licences, while I was in this course METI partnered up with CEDA to hire on Drivers... one year later here I am working full time with CEDA. I have nothing but good things to say about this program, at first it was frustrating but the teachers managed to shape me up who I am today.